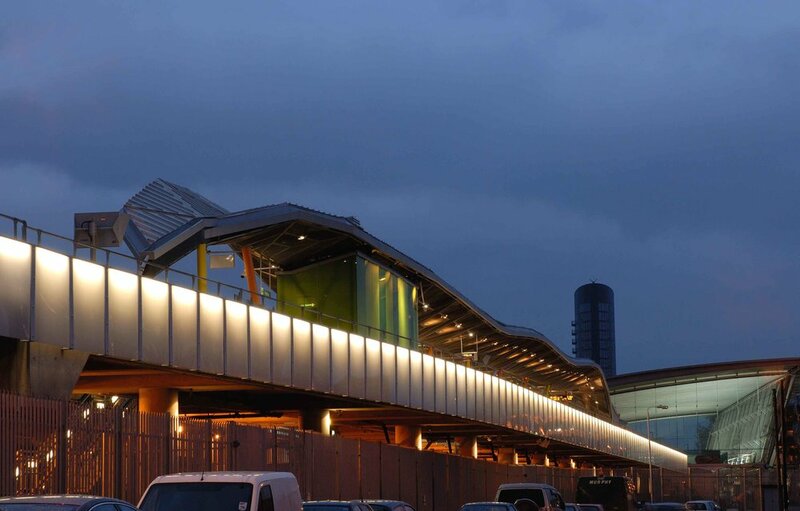 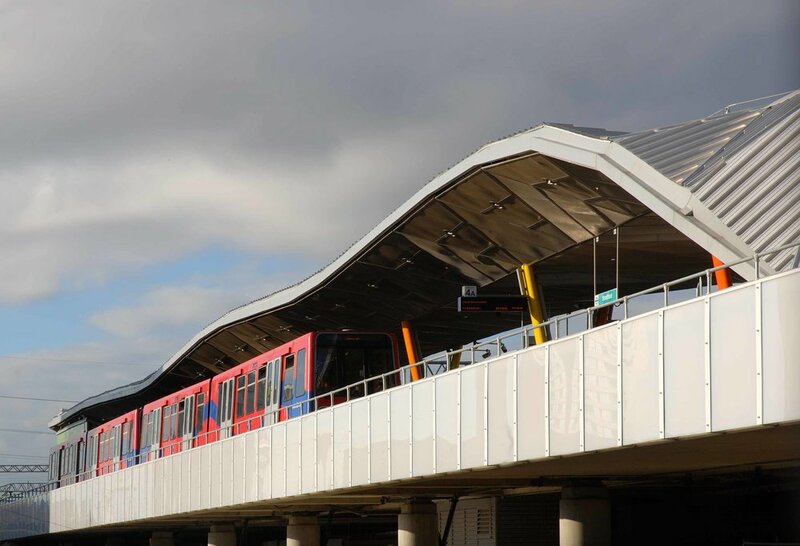 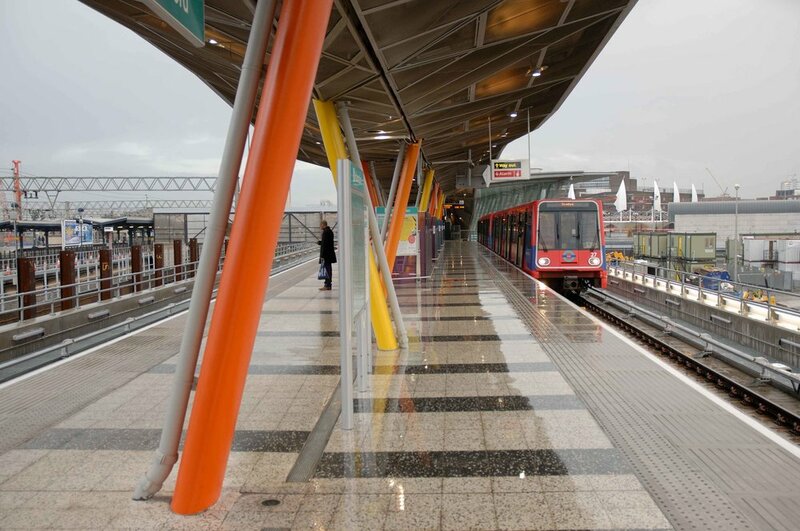 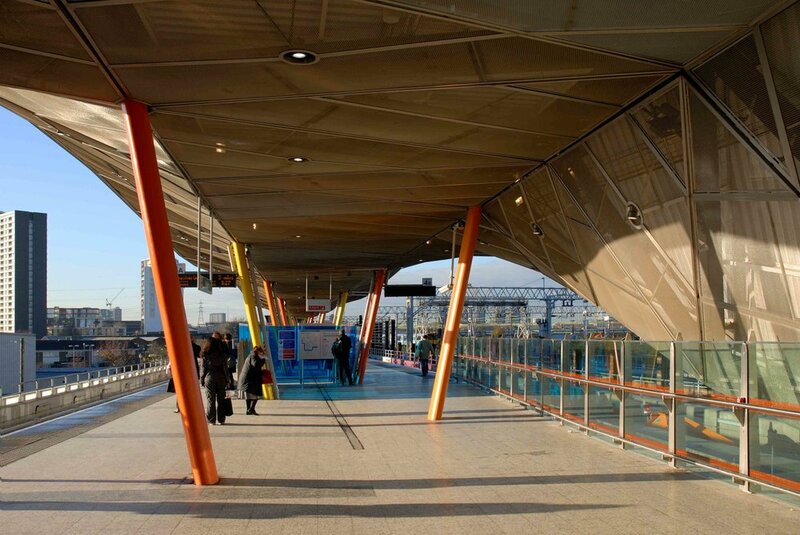 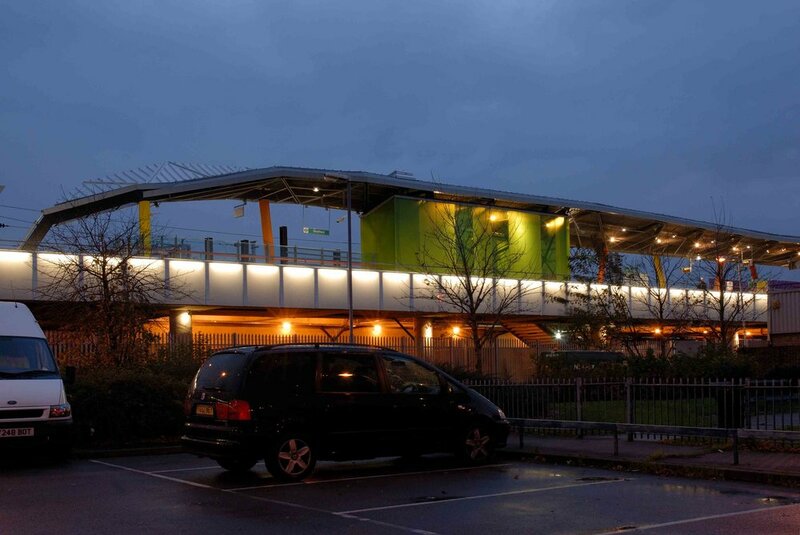 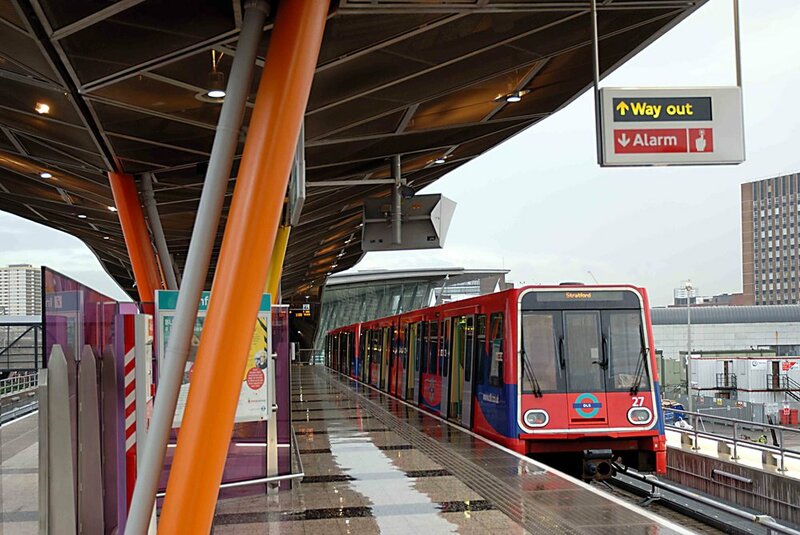 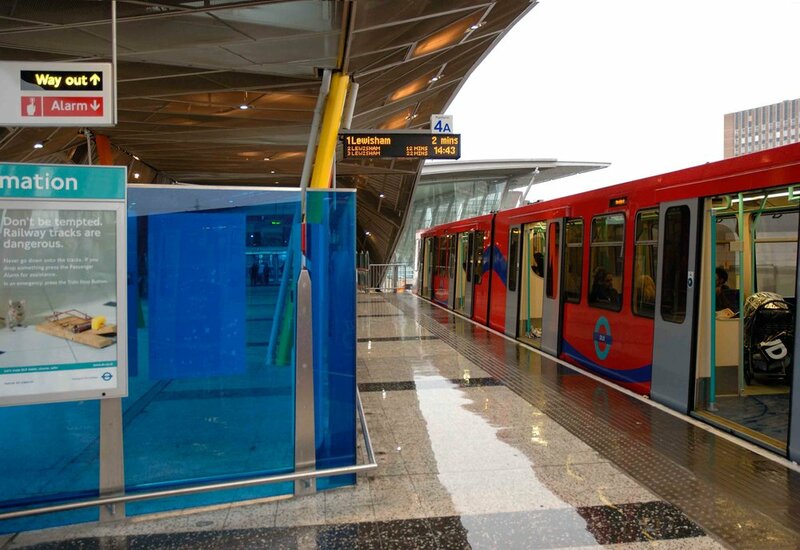 Alsop was commissioned by Docklands Light Railway Ltd. in 2003 to design a completely new station in a new location to replace the existing DLR station at Stratford. 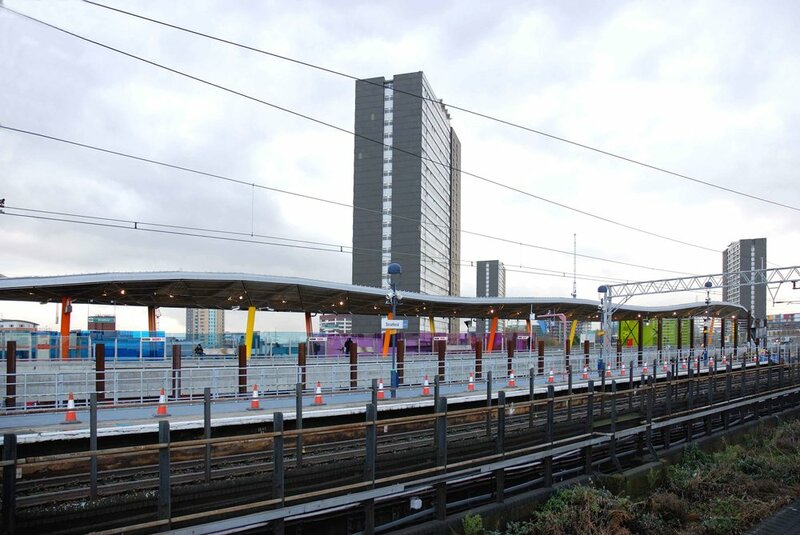 This was in order to meet the client’s requirements for capacity enhancement, improved train frequencies and longer platforms with corresponding new track alignment. 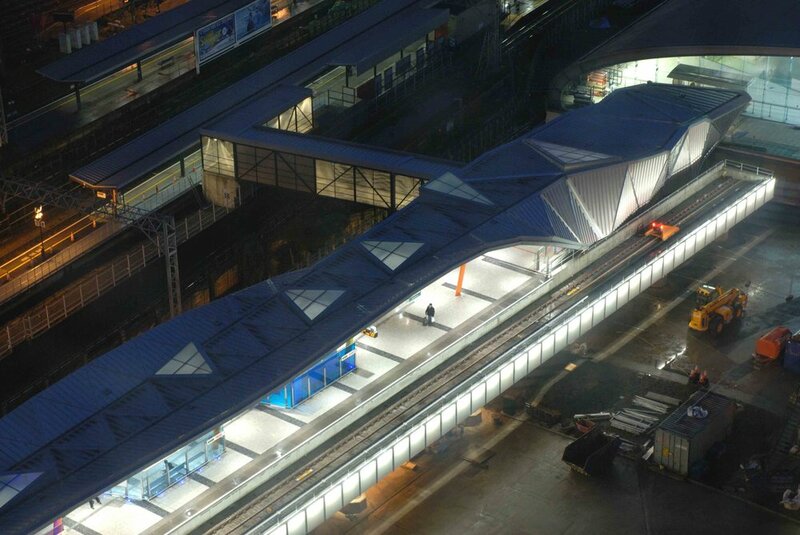 The island platform is sheltered by a metal canopy, designed with facetted triangular panels and roof-lights. 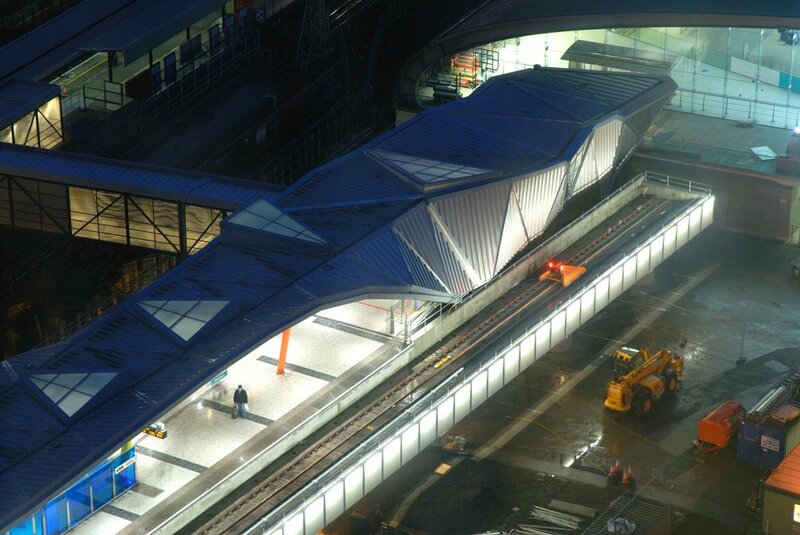 The snaking roof is laminated in part at night and deflects and reflects light during the day. 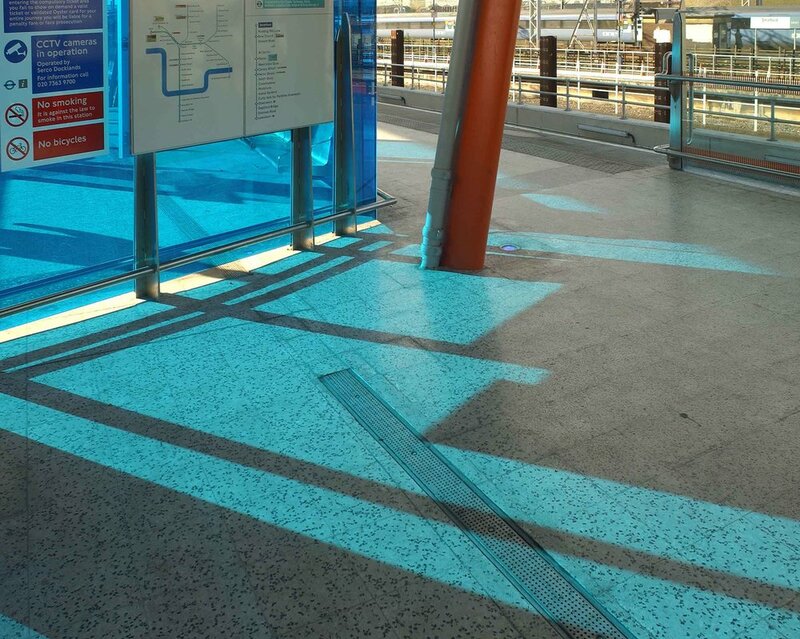 The supporting columns are brightly coloured metal pins and further colour has been introduced with tinted glass screens. 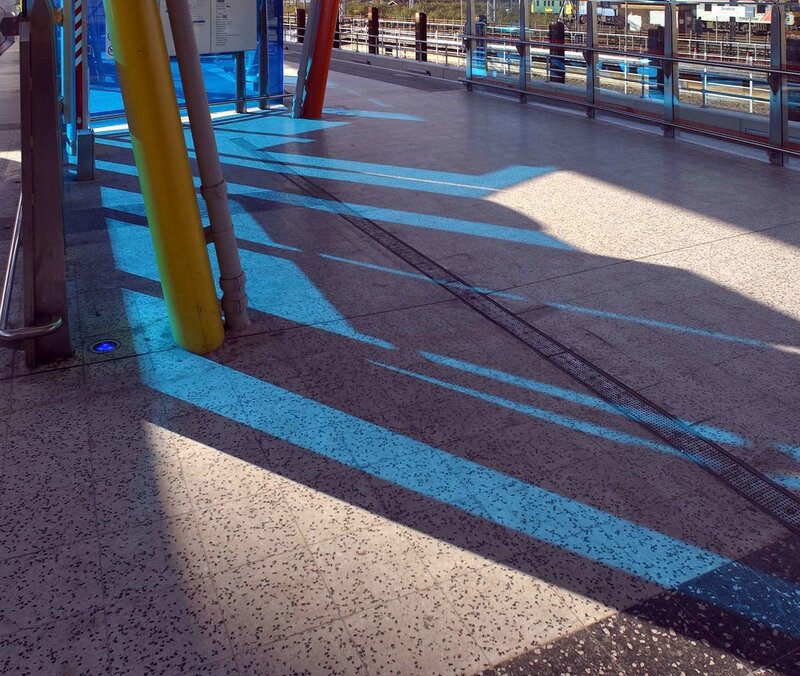 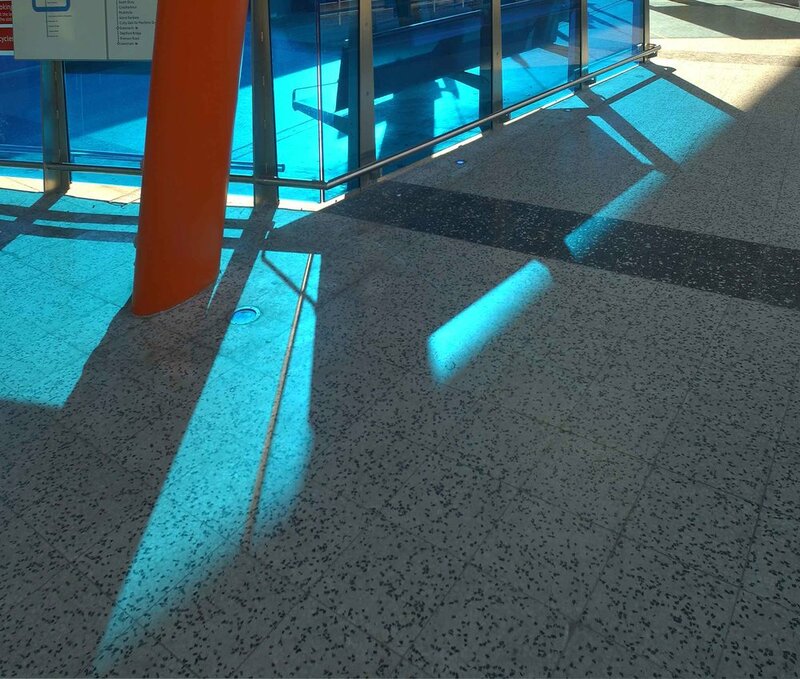 The coloured light refracted through the glass causes bright patterning on the platform. 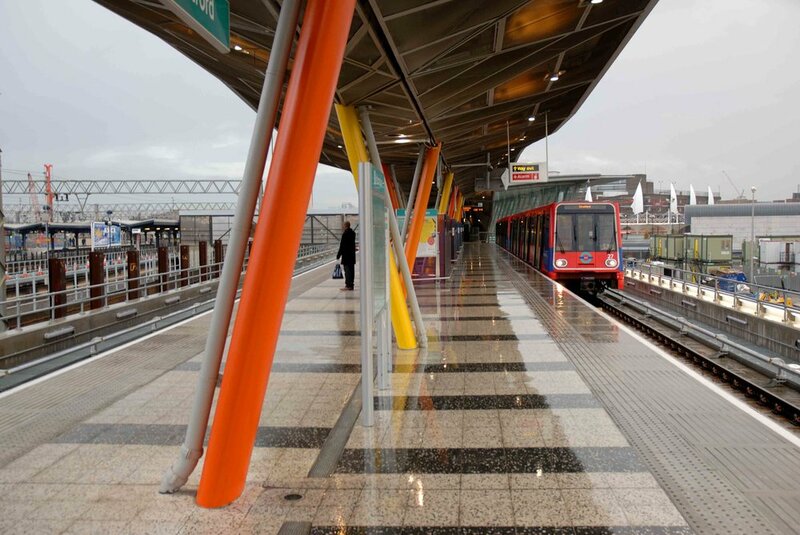 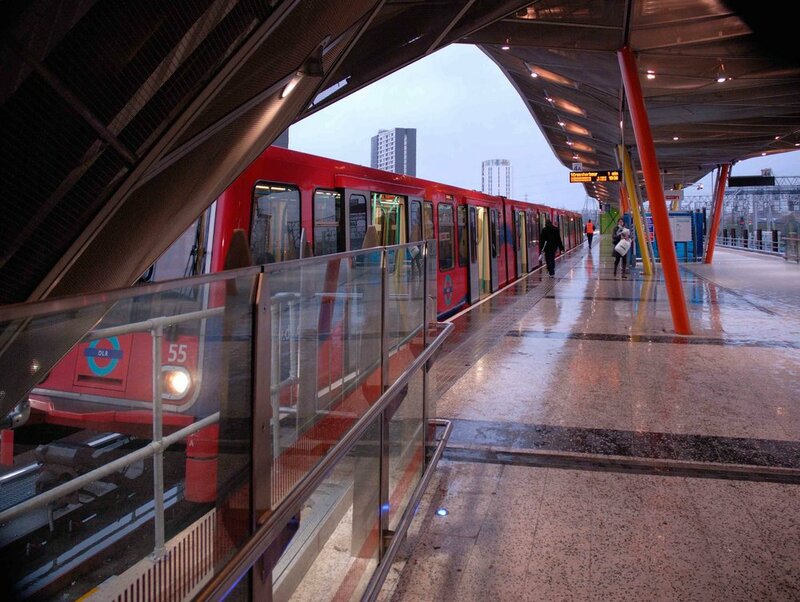 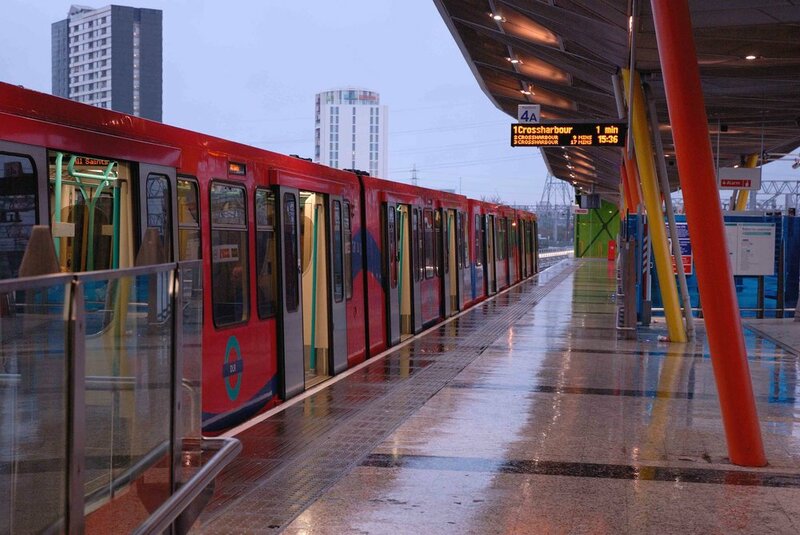 Entry to the DLR station is maintained via the existing Stratford Regional Station. 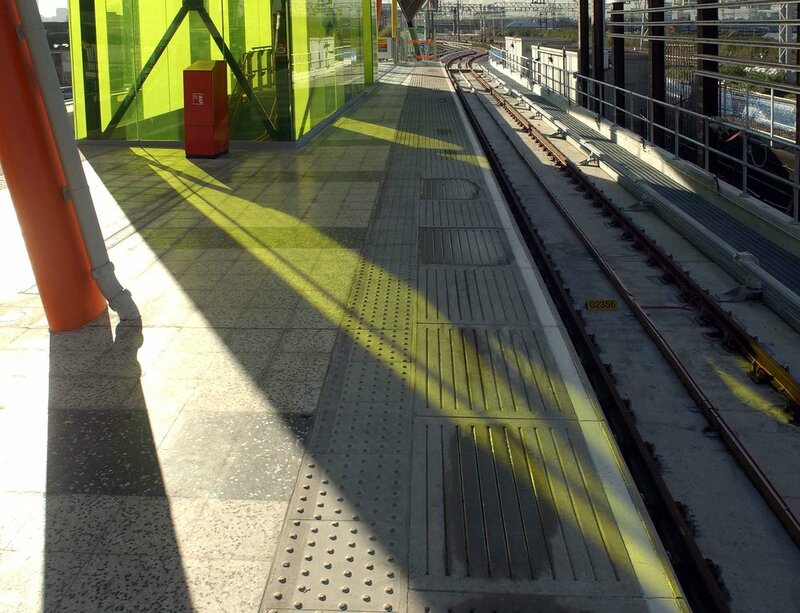 There is also passive provision for a potential future secondary entrance on Gibbins Road, below the DLR viaduct.